The art of airmanship could have remained trial-and-error without a methodology for passing experience on to new generations. 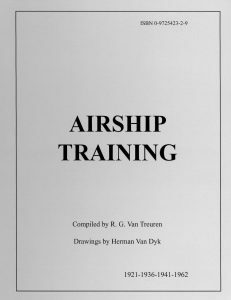 The lost art of piloting airships in our atmospheric ocean – as well as the skills needed to keep them mission-capable and to wrestle the giants to a safe mooring – is contained in this collection of two generations worth of airship instruction. Why is the relationship between center of buoyancy and center of gravity noteworthy when flying dynamically near pressure height? 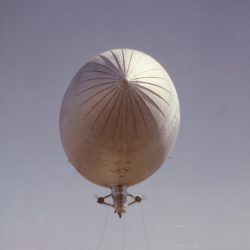 Under what takeoff conditions would a pilot encounter control reversal even in a statically light airship and find the nose heading for the ground? Why is the alighting gear positioned to the atwartships orientation following a landing? Where is a Nicompress fitting used in preference to an eye-end swagged terminal? These and so many other questions can only be answered with experience – the expertise long forgotten outside these courses.